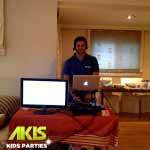 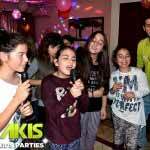 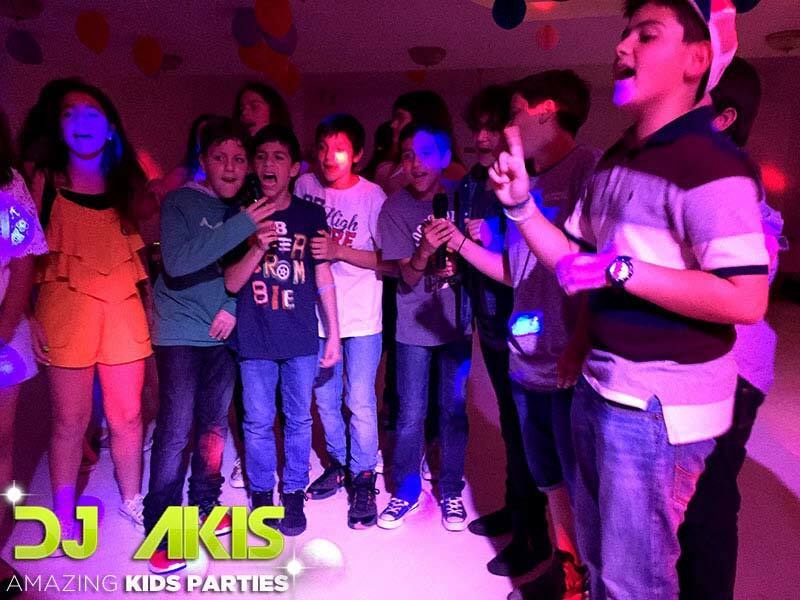 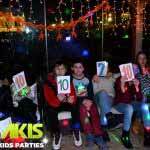 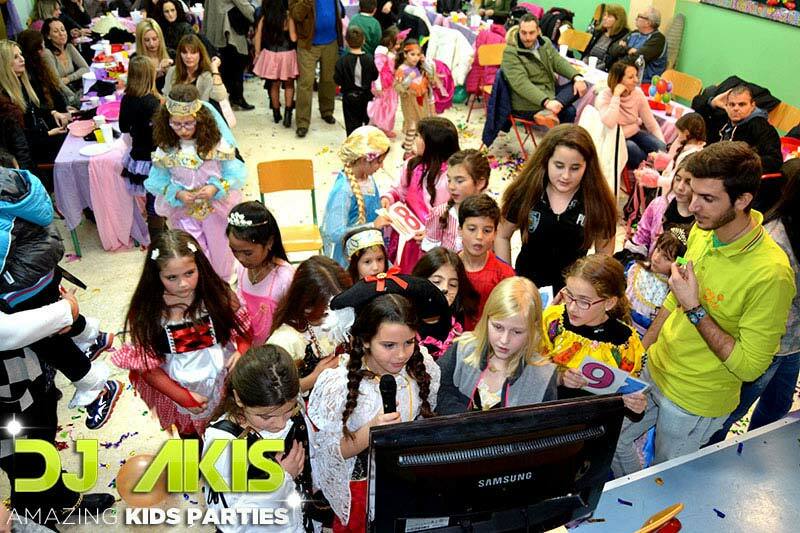 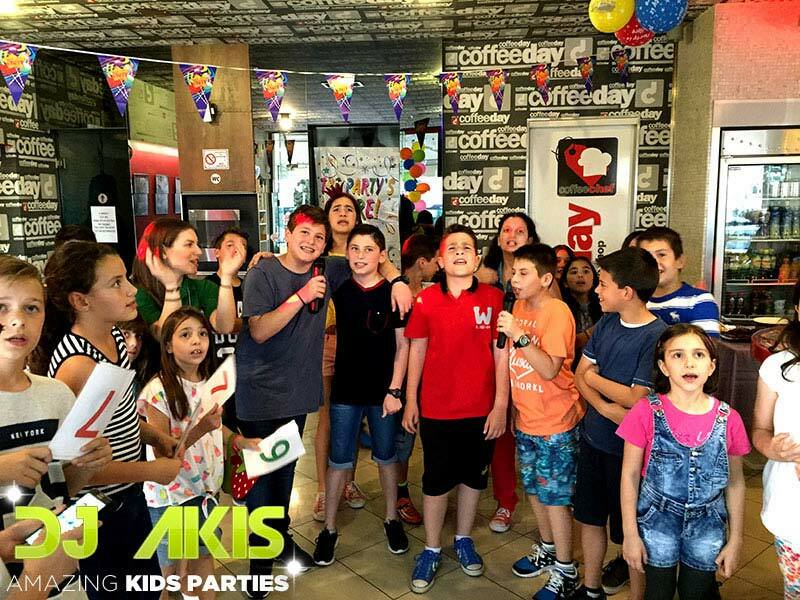 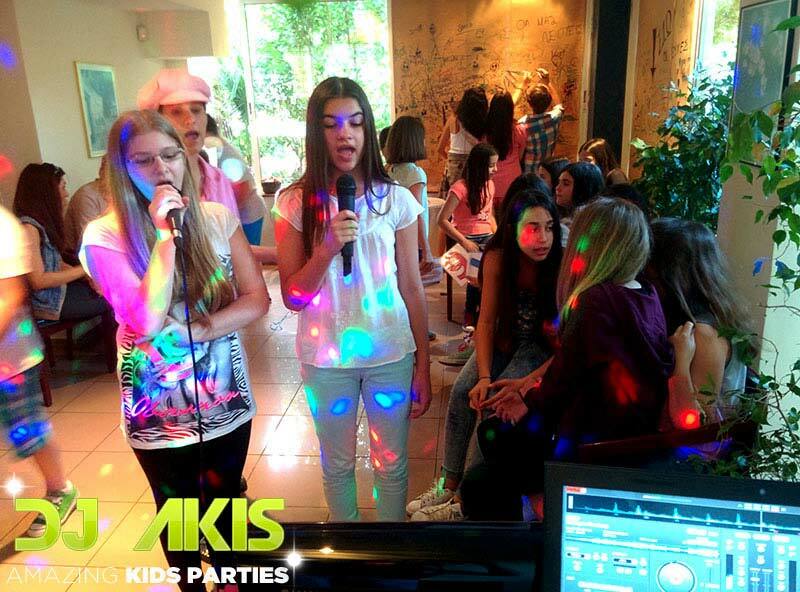 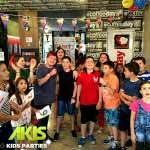 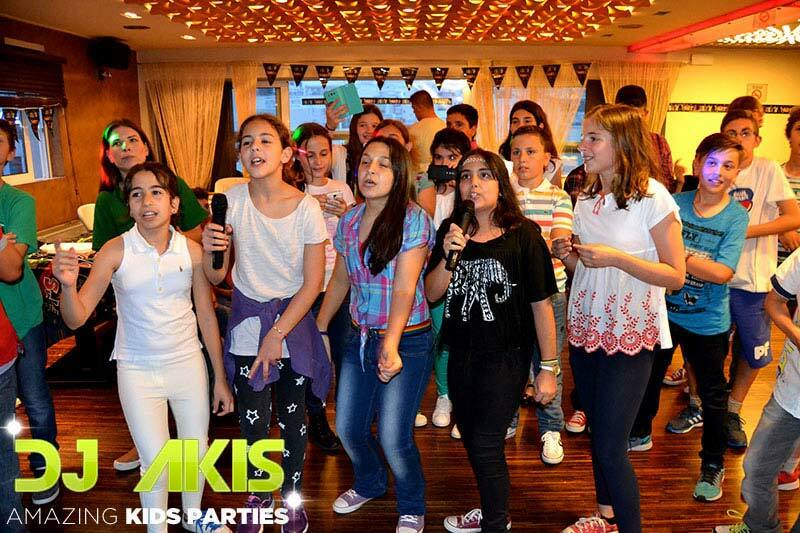 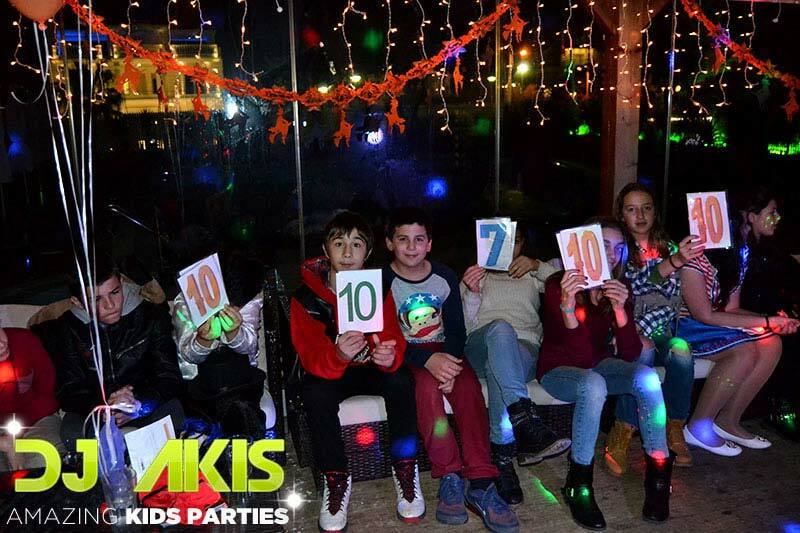 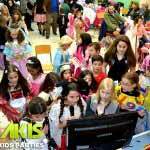 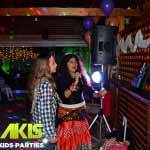 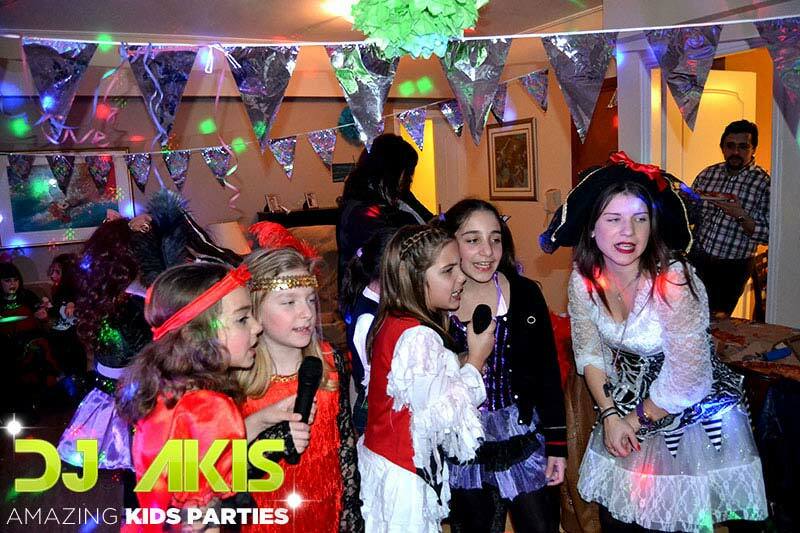 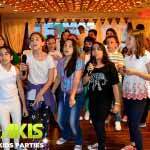 Karaoke party is a new way to entertain children in their party! 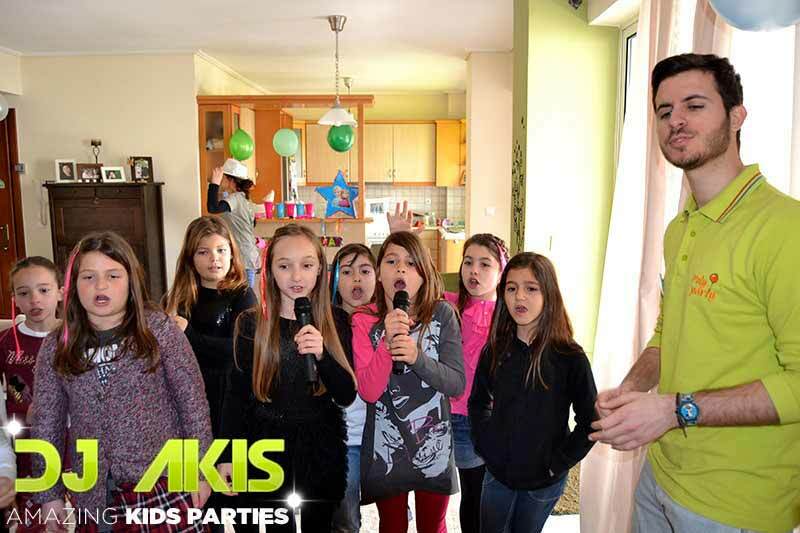 Children of all ages love to hear themselves singing. 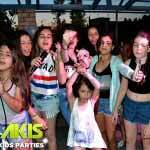 They all love to imitate their favorite singer while they mime the choreography from the video clips they see on the TV screen. 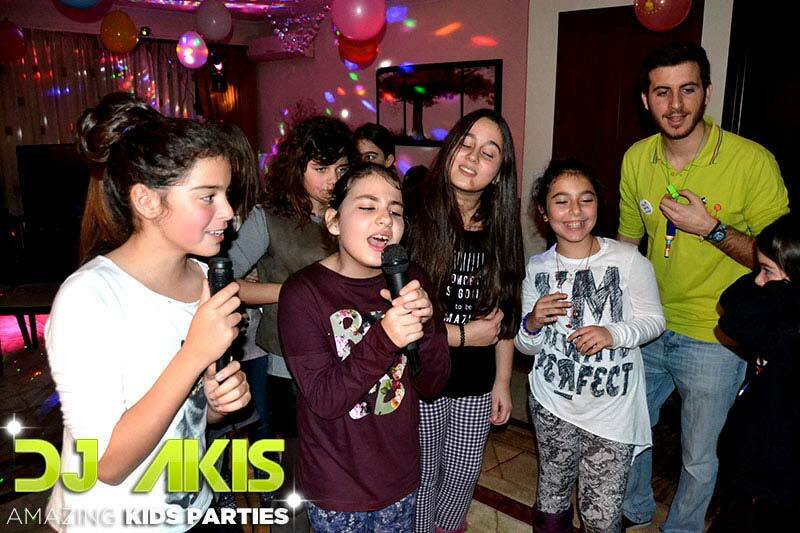 In other countries karaoke is a must, because it helps children to relax and have fun uninhibited. 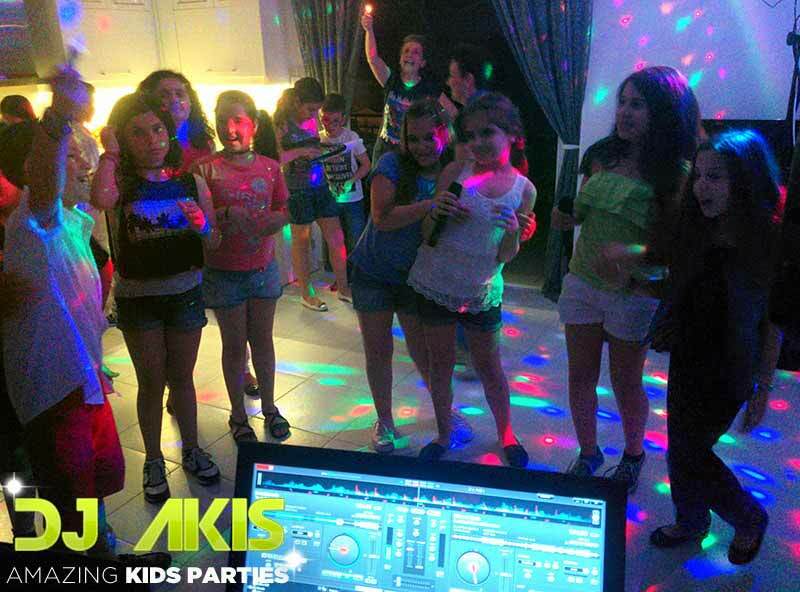 This is the reason that we have included karaoke in conjunction with the DJ. 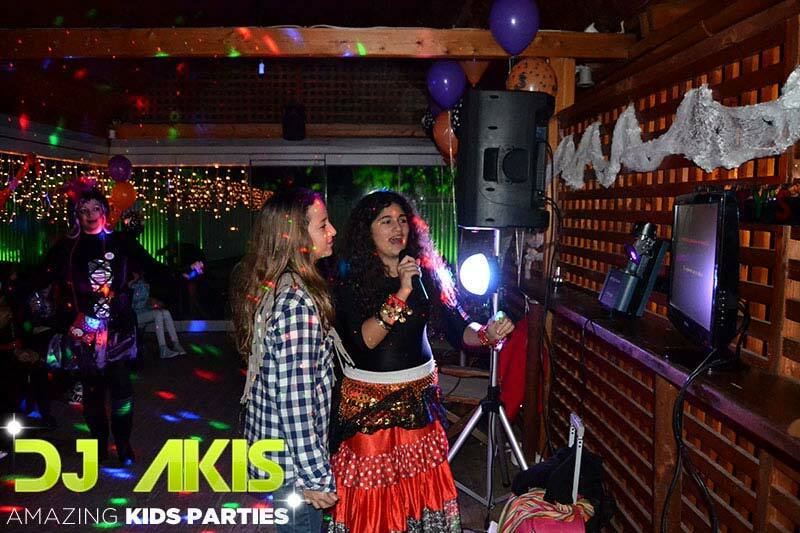 Karaoke service comes with the DJ and an animator. 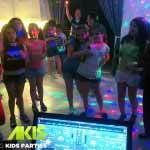 The animator is the person in charge and he undertakes that everybody will sing and everyone will be happy. 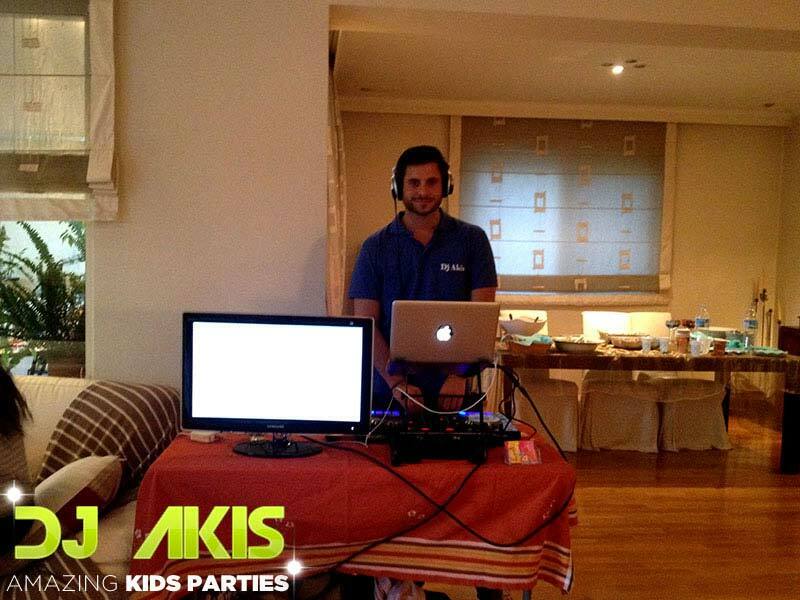 The DJ comes with his own equipment and is in charge of this section of the party throughout the event, which is like a live reality show with critics and scoring. 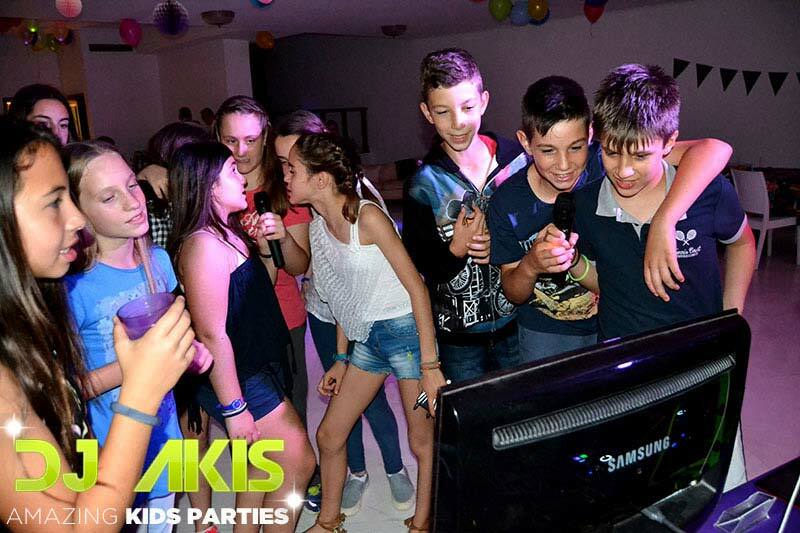 The songs are projected on a 24-inch TV which we provide. 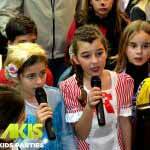 The children can sing solo or in duets with the two microphones which we provide. 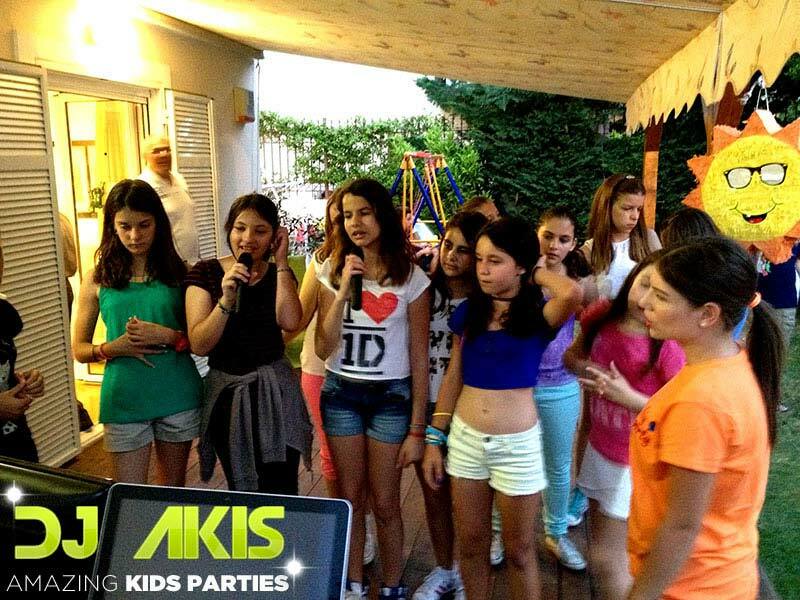 They can choose their favorite song from our up-to-date list. 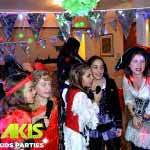 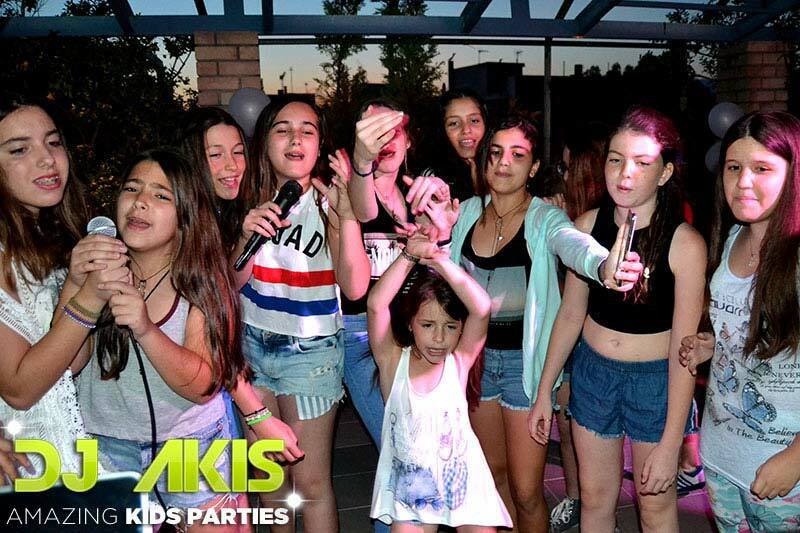 Once the party is booked, we will contact your child to tell us which songs are to be sing. 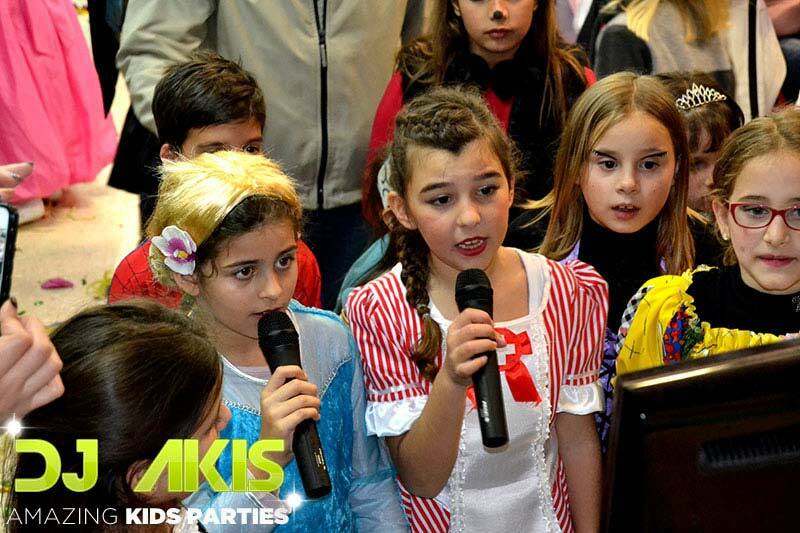 CHILDREN LOVE TO SING, SO DO WE!